Grade 4 Art Class: Mittens! The Winter makes me want to curl up in a blanket and eat stew and weep all day long. I am not a fan. However, I am a grown woman with a job and responsibilities, so instead of being a useless ball of sadness, I have my grade 4s make winter-themed crafts and it cheers me up! This week we made mittens to decorate our very sparse Winter bulletin board! The kids really enjoyed it and their mittens turned out great! I had the kids decorate the body of the mitten with a pattern of their choice and then decorate the cuffs with yarn. It was very, very simple to set up and had them hone their fine motor skills in working with the yarn. 1. Draw a line to show where the cuff begins. 2. 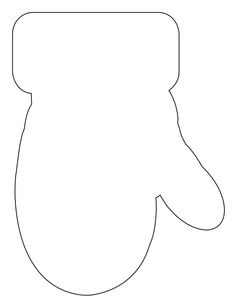 Draw a design onto the body of the mitten in pencil. 3. Colour the design in once it’s been checked by a teacher. 4. Cut out the mitten. 5. Glue on their yarn. It was insanely simple, the kids had a ton of fun, and they turned out super cute! Plus, not our sparse (sad) Winter bulletin board has some more colour! I can’t wait until Spring is here and I can put up our new bulletin board! Until then, this one should be cute and colourful enough to get me through the Winter months!